For people who are transacting online, emails are part of their life. Emails are preferred because of its convenience and easiness but you should know that it can be dangerous too. Emails are targeted by attackers because they can be circulated easily. Forwarding email for instance can spread the virus without difficulty. With this, it is important that you are careful with emails and its attachments. 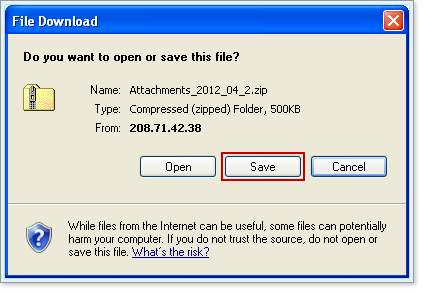 Before you open attachments, you have to save and scan it first. If you have no time to verify the source of the email, you can open it by taking the following precautions: (1) ensure that your anti-virus is up to date, (2) save it in your disk or computer and (3) scan it manually using your anti-virus program. If you think that the email is clean, you can open it right away. You have to check your security before you open any attachments. You can for instance filter your email. Your email software has this filtering technology that can sort out spam. You also need to check the firewall of your email software. You have to update your software so attackers cannot take advantage of identified problems. Do not worry because your operating system will notify you if there are software updates. You only need to enable it. If you are notified, you should update it right away. You have to be cautious of unsolicited emails even if it came from a real person. Attackers will create an account with a convincing name and catchy subjects to make it more realistic and appealing, You have to be careful of that. You have to listen to your instincts. When you see an email and it feels suspicious, do not open it. For example, if there is an email with the subject “Free Anti-Virus”, it is a red flag. Remember that anti-virus software is not sent via email. 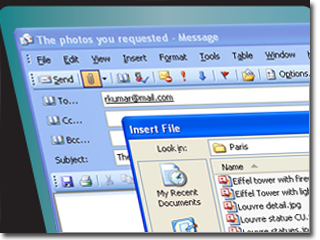 Your email programs want to make things easier for you so they offer automatic download. Do not permit this because it can spread virus. The best and safest thing to do is to turn off the option that permits automatic download.